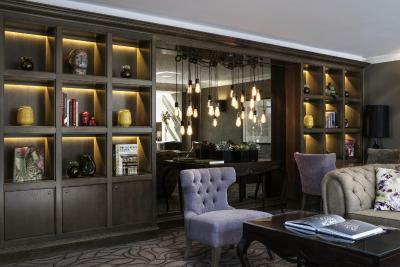 Lock in a great price for Castle Hotel Windsor - MGallery by Sofitel – rated 8.8 by recent guests! Fabulous bedroom, beautiful food and the staff were very helpful. The location of the hotel is perfect for visiting Windsor and the surrounding area. Excellent hotel - expensive (£29 pd for parking!) but this is Windsor, so everything is expensive. For that reason went round the corner for breakfast - plenty of choice. If the need arises, will stay here again. Room was ready on my arrival - 8am! Much appreciated after a long flight. And as requested it was a super-quiet room. Fantastic location. Comfortable rooms. #1 choice for staying in Windsor. The hotel staff were extremely friendly and helpful to me and my companion. They helped withour bags and the stairs along with giving us information about the surrouning area and where to go to get some good chow and shopping done. Everything is good except there is a little problem when check out. Room & bed comfortable. Great location; close to castle & shopping. 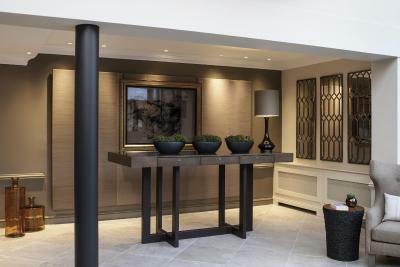 The location right on the High Street and very near the entrance to Windsor Castle could not be more convenient. Staff were professional and helpful with arranging things like a taxi to Ascot. Very pleasant crew with a proper customer service attitude. Location was wonderful, directly across street from one entrance to the Castle. Room was in the new annex connected by a sky bridge. Room was nice and bathroom was modern. However, there was no place to plug in a hair dryer so my wife had stand in the room without a mirror. Very inconvenient. Otherwise all was good. 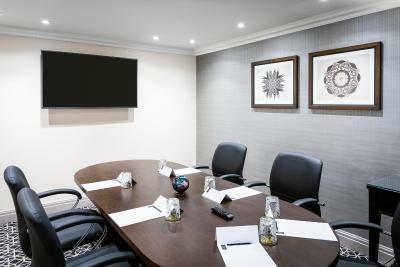 We felt the room was a bit pricey but I suppose you are paying for the location. .
Castle Hotel Windsor - MGallery by Sofitel This rating is a reflection of how the property compares to the industry standard when it comes to price, facilities and services available. It's based on a self-evaluation by the property. Use this rating to help choose your stay! This 4-star luxury hotel is in the town center, only 2 minutes' walk from the main gate of Windsor Castle. 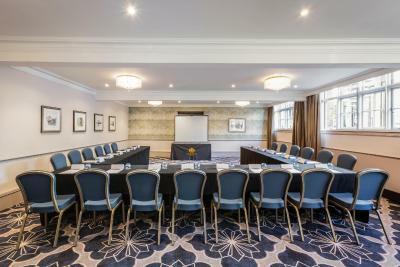 Providing easy access to Legoland Windsor, it offers an award-winning 2 AA Rosette restaurant and air-conditioned rooms with satellite TV. 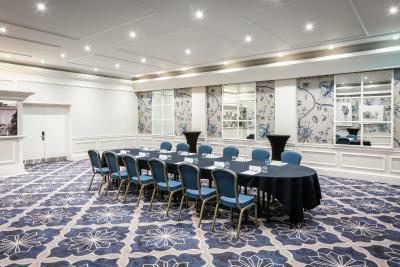 Castle Hotel Windsor - MGallery by Sofitel is a Georgian building with modern interiors. It features an unrivaled view of the 'Changing of the Guards' Procession. 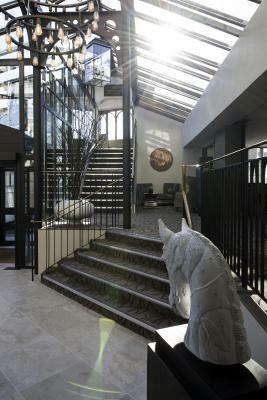 Free WiFi is available throughout the building, and guests also benefit from private parking at a surcharge. The hotel is nonsmoking throughout. With 108 bedrooms with attached bathroom all equipped with mini-bars, TVs with mp3 connector, iron/ironing board, tea and coffee making facilities. Four-poster rooms and luxury suites also available. The Eighteen restaurant serves the highest quality cuisine with the finest ingredients, locally sourced. Full room service meals are available until 22:00. Morning coffee or traditional afternoon cream tea can be taken in the Penington Lounge, an excellent vantage point for the Guard change march past. 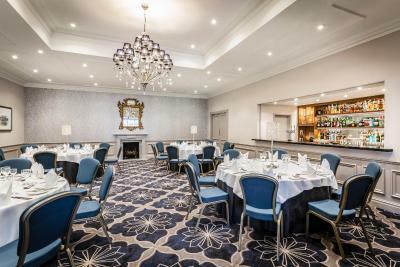 Castle Hotel Windsor - MGallery by Sofitel has extensive conference and banqueting facilities suitable for weddings, parties and private dining. 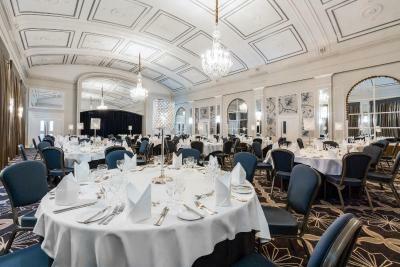 The hotel is 1,000 feet from Windsor & Eton Central Railway Station, reaching central London after a 30-minute journey. Windsor Racecourse is 6 minutes' drive away, and Ascot Racecourse is 12 minutes. Farnborough Airport is reached after a 30-minute drive. Twickenham Stadium is 20 miles away. This is our guests' favorite part of Windsor, according to independent reviews. 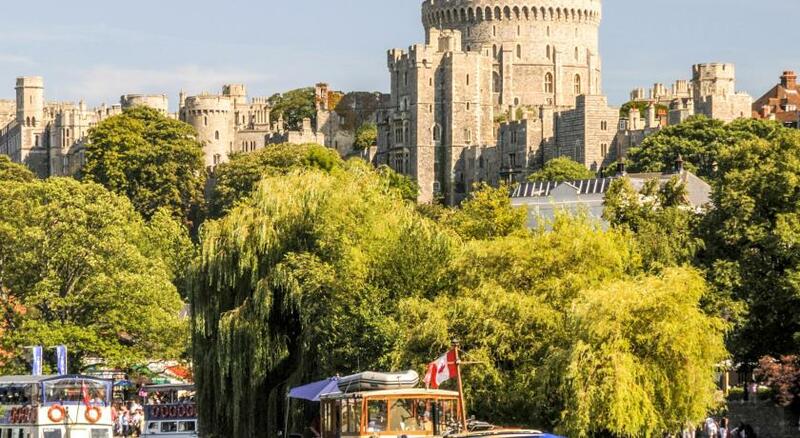 When would you like to stay at Castle Hotel Windsor - MGallery by Sofitel? This contemporary room has a flat-screen TV, an MP3 connector, and free Wi-Fi. The room also has a fridge, ironing supplies, and tea and coffee making facilities, along with a private bathroom with a hairdryer. This double room features a dining area, mini-bar and air conditioning. Making a mark on history Immerse yourself in history in a unique location. Castle Hotel Windsor is an elegant Georgian building with a rich past and an enviable address: directly opposite Windsor Castle. Walk through the doors and walk back in time, as you discover fascinating authentic features and lovingly restored décor, before you retire to your gloriously relaxing room. The town's cobbled streets offer much to explore, and you'll have the best view possible for the pomp and grandeur of the Changing of the Guard. Story Castle Hotel began life in 1528 as The Mermaid Inn - humbly brewing beer and cider for the people of Windsor: then scarcely a town of 1,000 people. However, in the 1700s the innkeeper Richard Martin was awarded the first of the hotel's eight RoyalWarrants - to provide horses and carriages for the royal household - and the hotel grew with the population of Windsor to become one of the grandest hotels in town. 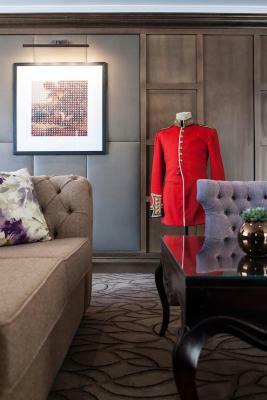 By the 19th century Castle Hotel was unrivalled as the finest place to stay in Windsor. 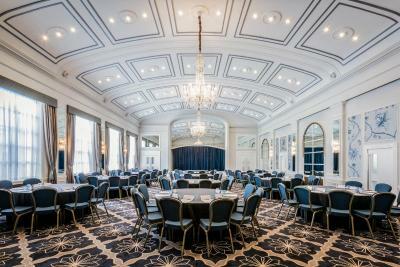 House Rules Castle Hotel Windsor - MGallery by Sofitel takes special requests – add in the next step! Castle Hotel Windsor - MGallery by Sofitel accepts these cards and reserves the right to temporarily hold an amount prior to arrival. Minors under 18 must be accompanied by parents or legal representatives. Designated guardians must present written authorization (certified signature) from the parents. We had hoped to eat inn the restaurant but fully booked. An opportunity to book ahead will be taken next time. Care taken by all the staff. Drink given while waiting for our room. Such friendly staff. We got the room that behind the building of hotel, it's not comfortable for me because I'm leader of the group and I have to come to support and help for 12 persons that stay at the building of hotel. Location ...very central in the town.. Next to the castle. On site parking available. Thought the bedroom was bland, no complimentary biscuits, mini bar is empty unless you pre ask for it to be filled, the bathroom was very small, room was cold in the day (although they did give us an extra heater, which was nice) found the hotel as a whole very cold, we left our dinner early as we were so cold & my husband doesn't normally suffer from being cold! Wasn't overly impressed that you had to pay £25 for the night to park your car in there car park when you're staying there!! Staff were lovely, friendly and helpful, the hotel is in a great location and the food is great. It’s very cozy with good location! Everything! The staff were attentive, friendly, polite and gave the whole place a good vibe. We stayed in Room 105 which overlooked the Guildhall. The room was quite and very well appointed (perfect). The location was central and everything was just a short walk away including the Station, Restaurants, the Castle, and Windsor Great Park. We only used the Restaurant for breakfast, but this was of a high standard, with a good choice of items cooked to order. Thank you to everyone at the Castle Hotel for making my husband's Birthday such a memorable event. The parking is a little limited but they don’t claim otherwise, so fair enough. Our shower leaked from the ceiling which was not ideal but only a minor thing and I’m sure was a one off. Very nice lounge and bar areas and the restaurant looked great although we didn’t eat there. Room was very comfortable. The staff were excellent and really set the place apart. Not really related to this hotel but Windsor village is very close to Heathrow airport runways. Have earplugs if you are not used to sleep in aircraft noise, they didn’t fly during night but flew late evening and early morning. The location was perfect. Room was comfortable as well the bed, no noises from other rooms. The breakfast was nice and the staff really friendly.